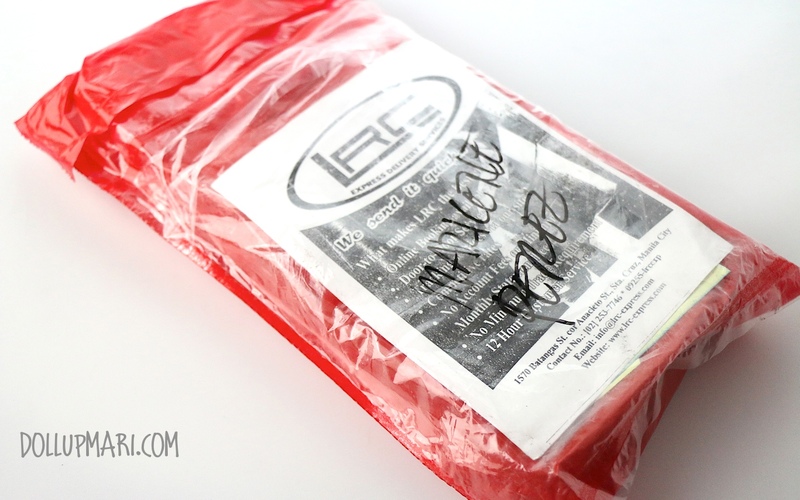 It's time for another online reseller review! 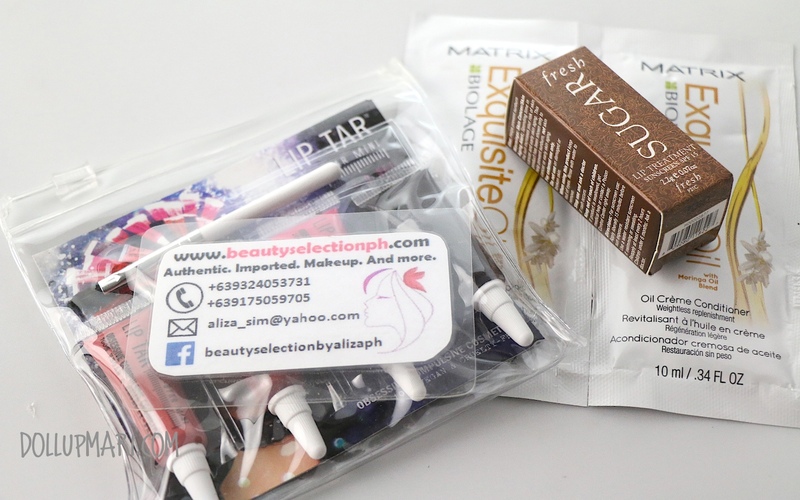 These are items I bought from Beauty Selection by Aliza, her website is operated on happy.ph. 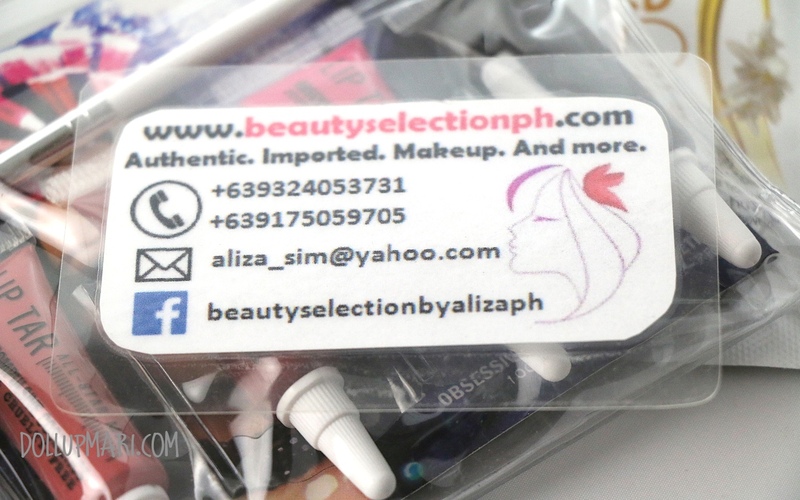 Like all other happy.ph sites, the store functions as a legit online shop, with items' prices in display and a proper checkout system. I did appreciate the quick response and the fast accommodations. I appreciated that within minutes of punching in my order (I did this noontime, please do not expect your reseller to answer queries at 3 in the morning), there was already a reply. I paid on the same day, and I was amused that unlike other sellers, I was even told of when the shipment was going to come. Usually, other sellers just give me a very rough estimate. But this swift and accurate shipping came with a price-- I was kinda surprised that shipping was Php100 when most of the other sellers have theirs for 90 at most. 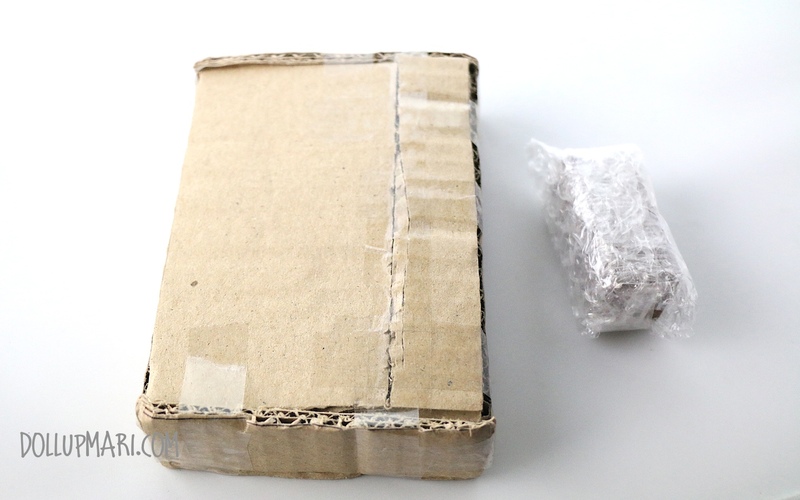 This is how the package looked like when it came. I really appreciate that they took my request seriously and really did visible things to protect the integrity of the items. They put my lip tar in a box and the sugar lip treatment was wrapped in a good amount of bubble wrap. Thank God for sellers who take client requests very seriously. And here's a closer look at the items I got. 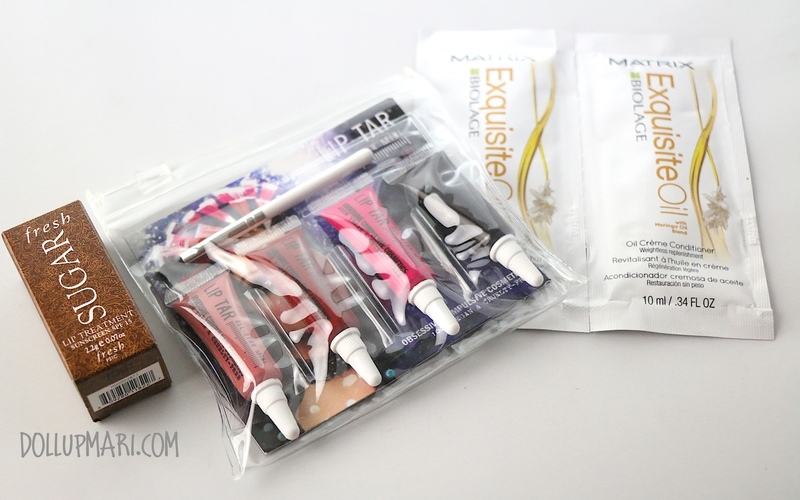 So I got a Lip Tar set for Php1500, this is the mini quad set of the pro's picks I think. It has the most popular shades representing the spectrum of colors that OCC makes their lip tars in. I also got myself a deluxe sample of fresh Sugar lip treatment for Php300. I think that this is what they give out for free free in Sephora hahaha. I wouldn't mind paying for one given that it also took money to ship it, but I honestly do think that it could've been a little cheaper given that it's free and is smaller than a matchbox hee hee. I was also sent a nice shampoo and conditioner sample as a freebie. I hope it's a good product! Anwyays, here are more details on the shop if you're also interested in lip tars and other imported cosmetics. All in all, I would say that this is not like the bestest ever shop I've shopped in, but the customer service is swift and reasonable enough for me to recommend it to other people. Overall, I'm a satisfied customer.